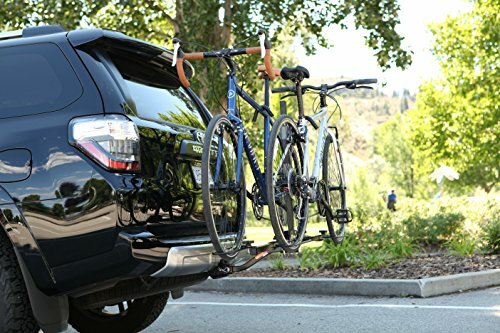 We know what being an outdoor enthusiast means and so seem the guys at Swagman, as their 2 bike platform hitch rack was designed to make your life easier and to let you enjoy the ride of your life faster and safer. 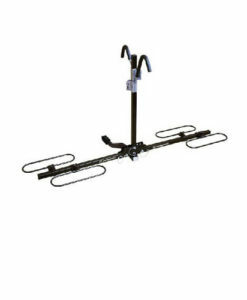 Nothing compares to the thrill given by an exciting and dangerous adventure in the wilderness on the back of your bike. 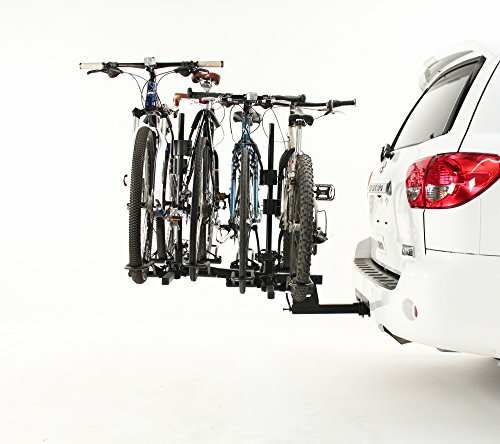 But to get there, you’ll probably need to engage in a road trip. 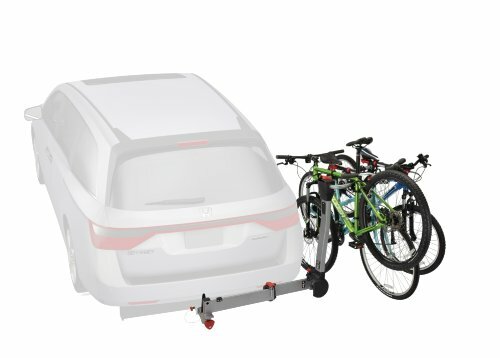 And you’ll probably want to take your partner with you. 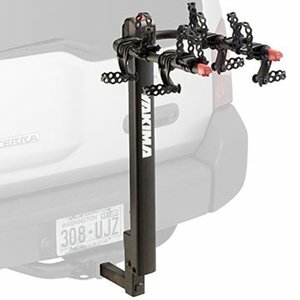 Well, this part of the adventure is not for you to carry alone, as its outcome largely depends on the hitch mount bike rack you choose. 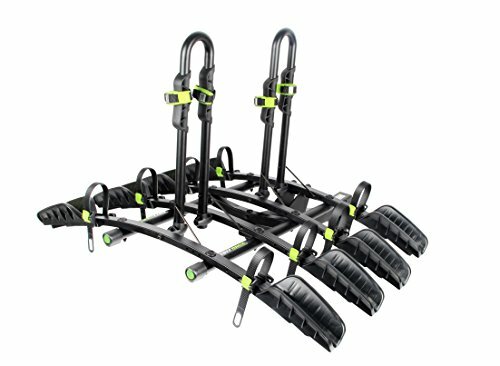 The G10 from Swagman might be the choice for you, because it’s built for versatility, fitting any bike styles (including fat-tire ones, with an accessory bought separately), but also offering convenience, due to the user-friendly cam lever that allows you to fold the rack up against the vehicle for compact convenience, down to its horizontal loading position or tilted away, to access the rear of the vehicle. 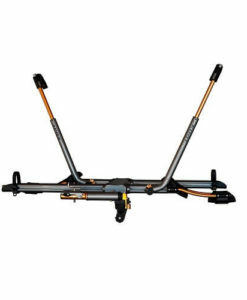 But we’ll need to dive deeper to make sure this is the 2 bike platform hitch rack for you. 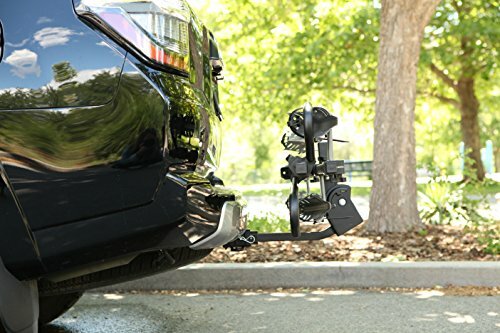 The versatility of the product is also expressed by the fact it fits a 1-1/4 inch and 2-inch hitch receiver. 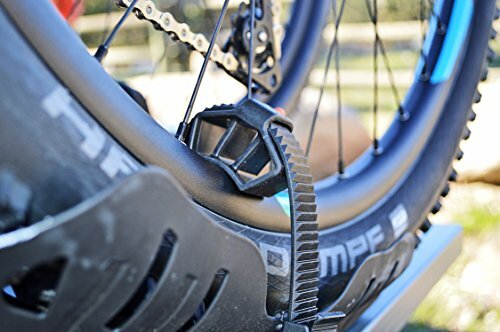 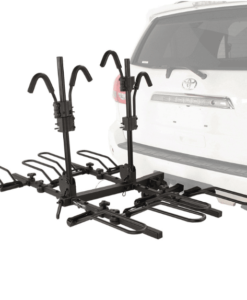 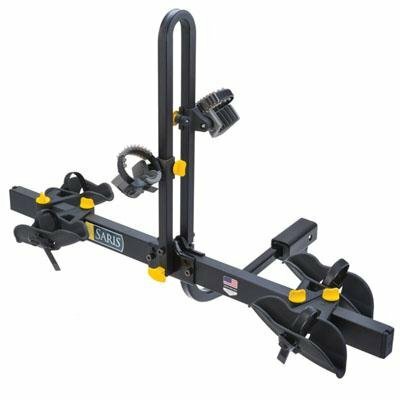 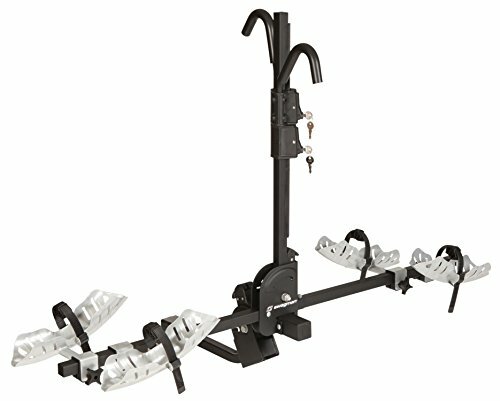 The adjustability of this hitch bicycle carrier is also to be noticed because the trays are adjustable with a hand knob that allows them to be moved to desired positions, while the wheel ratchet straps firmly hold the bikes and secure the wheels. 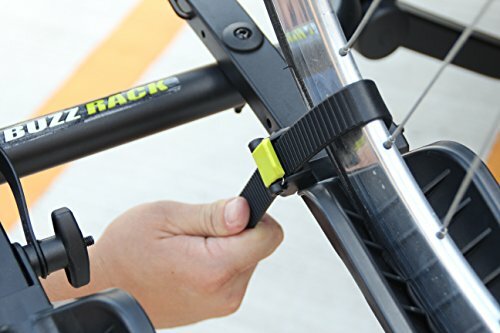 Security is another one of the advantages brought by the product, as it includes 2 same key lock cylinders and hooks that firmly secure the bike and its frame to the platform hitch bike rack. 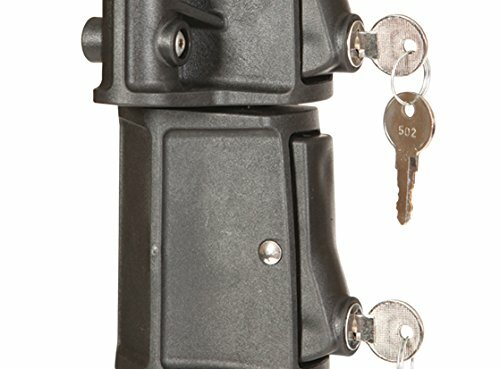 Moreover, the G10 supports a maximum load of 90 lbs. 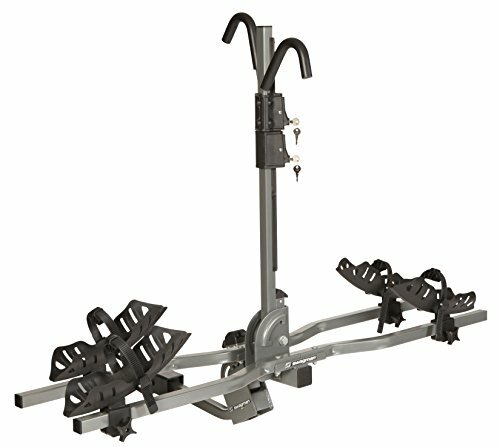 (45 lbs. 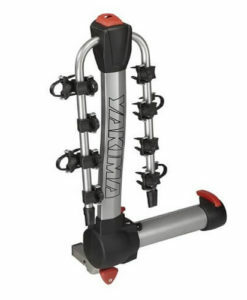 maximum per bike). 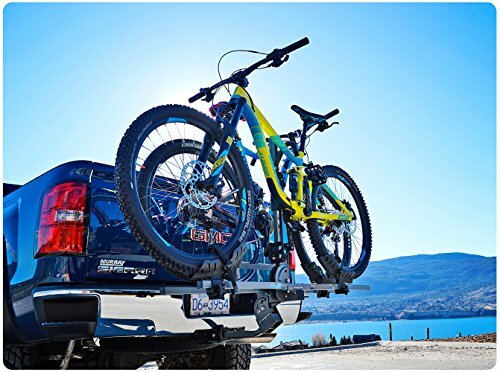 On top of all that, Swagman’s hitch mount bike rack comes with a patented design, so that your bikes will not only be transported safely but also in style.